I watched both the Xfinity and Cup races this weekend. 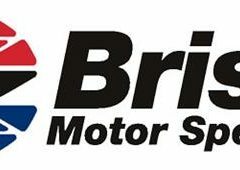 It looked like Kyle Busch was going to get his 200th win on Saturday in the Xfinity race, but Cole Custer took advantage of a Busch slip up and took the checkered flag. It was a pretty good race and nice to see someone other than Kyle Busch win. For my viewing pleasure, the race was more competitive than the Cup race. The leaders were bunched up longer and the Xfinity drivers were trying their best to get past Busch. 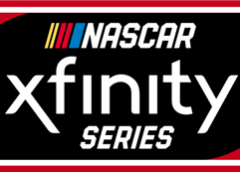 I am not sure if every Xfinity race has been that competitive this year, but I was impressed. On Sunday, pole winner Austin Dillon led the drivers to the green flag. Let me say something about that. If you missed it, none of the top 12 cars ran a lap to capture the pole. That’s right, no one went on track to get the pole of a Cup race. The drivers were all sitting waiting for someone to go and as the time ran down, there wasn’t enough time to get a lap in, so Dillon took the pole by virtue of his previous fast lap in round 2 of the qualifying. That qualifying game of chicken has to stop. If I had been a fan watching qualifying at the track I would have been really ticked off for the total waste of my time. The drivers are supposed to give 100% — even in qualifying. NASCAR can’t be happy with that effort and they better do something about it. OK, enough of that. Onto the race. 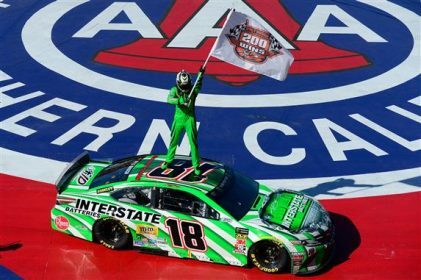 Basically, Kyle Busch won Stage 1 and 2 and then got a speeding penalty and drove through the field like Days of Thunder, winning the race by a ho-hum 2.5 seconds over Joey Logano. 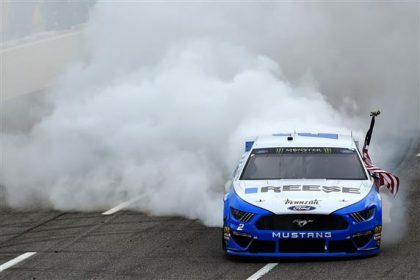 Seeing Busch slice through the field was impressive while Logano and Brad Keselowski battled each other for the lead for another week. From that perspective, there was some good racing. The leaders stayed a little bit more bunched up after each restart as we have seen in the first few races. Auto Club Speedway is a really wide track so there were multiple grooves to use, but the top line appeared to be the way to get around the track. There was plenty of racing going on behind the leaders. You saw battles for 4-7 and the 9-12 positions frequently. The leaders were within a couple of seconds for about 20 laps or so then they would get spread out with the Busch getting out to about 2 second lead. That left everyone else to fight for 2nd place. And until Busch got penalized for speeding, there wasn’t a lot of that. 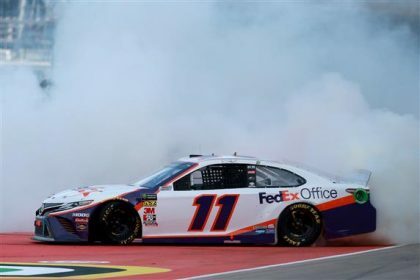 But all that racing was for crumbs after Busch made his way through the field and showed that not only can he wheel a race car but his Joe Gibbs Toyota was better than anyone else, including his teammates. There also wasn’t a lot to see in the stands. It is hard to be exact, but from what I saw, the stands were a bit more than half full. So somewhere between 35,000 and 40,000 people. Maybe 45,000 if they are lucky — at a track that seats about 68,000. Maybe there has been just too much racing going on the west coast between Cali, Phoenix and Las Vegas. Maybe the folks in Cali had better things to do on a gorgeous Sunday. Plus, the race started pretty late for folks on the east coast. I haven’t seen the overnight ratings yet, but they can’t be great. All in all, I give the race a C. Nothing great, nothing terrible. You loved it if you are a Kyle Busch fan. Lots of long green flag runs, which we have seen a lot of this year. I don’t know if that is a by-product of the new aero package or if the drivers are just being more careful. But I expect that to end when we get to Martinsville and Bristol. No more tapered spacer, more horsepower and throttle response. Let’s get some racing on.